Every night of Chanukah the menorah should burn for at least a half hour into the night, or until 5:30 pm. Therefore, standard Chanukah candles that burn for 30-45 minutes should be lit no earlier than 5:00 pm. 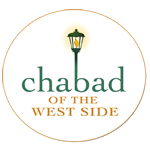 The Chabad custom is to light the Menorah at sundown, 4:29 pm, making sure it will burn until 5:30 pm. Because of this custom, larger candles or olive oil should be used. 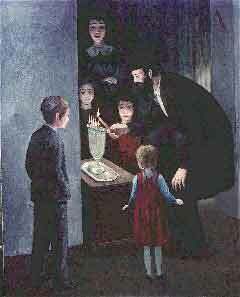 On Friday, December 7, Chanukah candles should be lit before Shabbat candles are lit. Ideally we should daven Mincha beforehand. Under no circumstances can the Menorah be lit after sundown, 4:28 pm. Candles may be lit as early as 3:34 pm. Regular Chanukah candles cannot be used for Friday night, since they must last until 5:30 PM. Shabbat candles may be used instead. On Saturday night, December 8, the menorah is lit after Shabbat ends at 5:13 pm. Havdala is first recited and then the Menorah is lit. The V’Al HaNissim is added to all Chanukah prayers, as well as in Grace after Meals. The complete Hallel is said every day of Chanukah. In Israel, 8 of the 18 days during the year when the complete Hallel is said, are Chanukah. Chanukah is connected with the term Chinuch, education. It is a time that we traditionally tip our children’s teachers for doing a great job educating our children and teaching them Torah. Chanukah is a time for family. At least on a few of the nights of Chanukah, the family should spend time together, sharing the miracles and stories of Chanukah. To educate our children about the importance of Tzedakah and to give them some spending money, Chanukah gelt is given. The Rebbe discussed the importance of giving Chanukah gelt every night of Chanukah and he mentioned that husbands should give their wives Chanukah gelt as well.